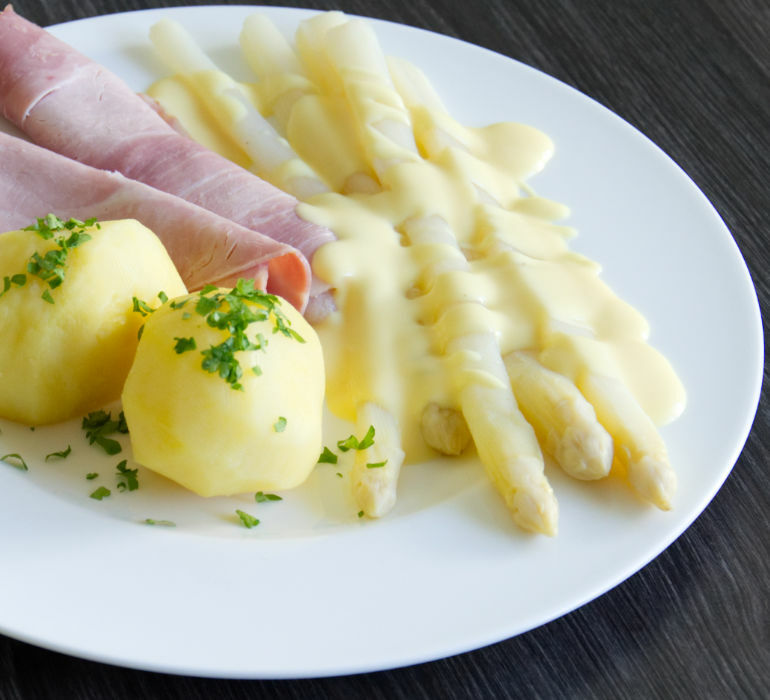 When you want to know which white asparagus dish is the most popular in white asparagus season in Germany, that is the one: White Asparagus with Boiled Potatoes, Ham and Sauce Hollandaise. I love white asparagus season here in Germany. Every good restaurant always sells few white asparagus dishes. Very popular are also Creamy White Asparagus Soup and White Asparagus Salad. 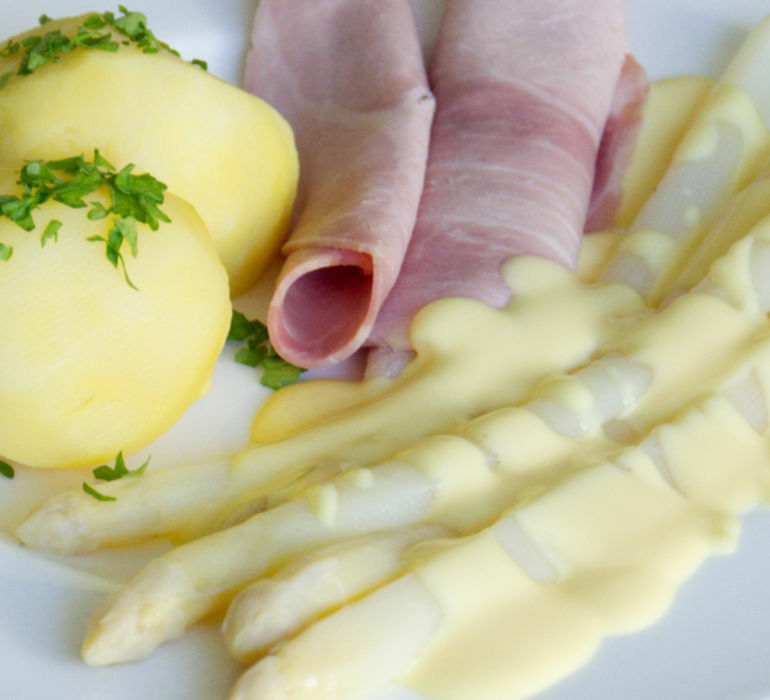 White Asparagus with Boiled Potatoes and Ham is very easy to make. It’s delicious! Boiled potatoes garnished with parsley, crunchy white asparagus go well together. Cooked ham and sauce hollandaise are not too dominant and therefore are the perfect ingredients to accompany this dish. keep the peeled asparagus in a pot of water until you are ready to cook it – don’t let it dry out!